How can I help? 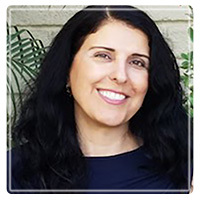 Contact Simina Eshtehardi, Ph.D., Hypnotherapy. Please feel free to call me at 949-444-9931 or send me a message day or night using the form below. Dr. Simina is committed to helping you experience a sense of freedom and emotional peace from the unresolved issues in your life. Her sessions incorporate an experiential, holistic (body-mind) approach that addresses your senses, thoughts, feelings, and behaviors.